"The stakes are high. Climate change is accelerating. Inequality is at historic levels. The financial industry continues to teeter on the brink of collapse, threatening the global economy. And all the while, our political system has proven incapable of effecting the structural transformations necessary to — quite literally — save the planet. 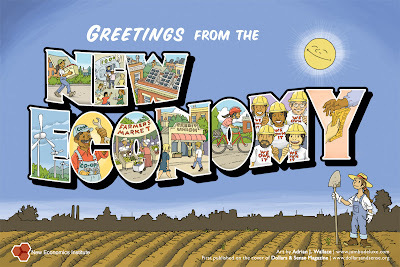 The time is now for a new approach, a New Economy. The New Economics Institute has a long history of putting evolutionary ideas into practice. 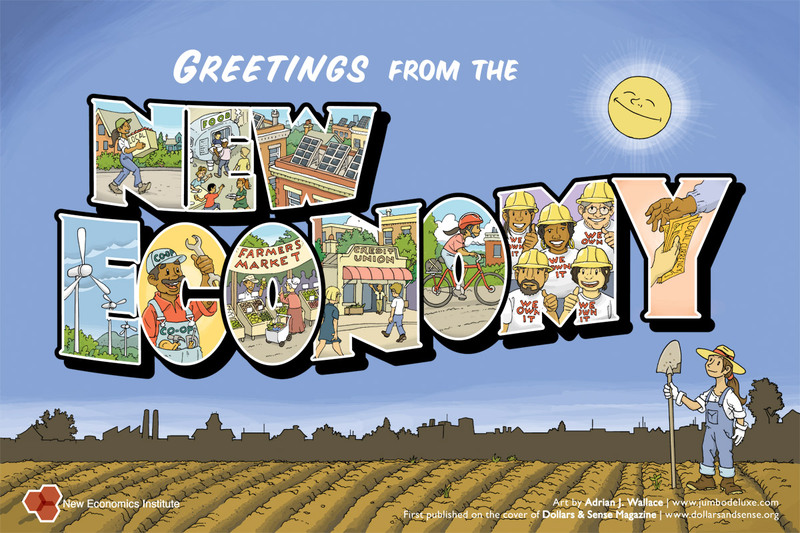 From the BerkShares local currency program to last summer's historic convening of New Economy leaders and practitioners, the New Economics Institute is familiar with making bold visions a reality. Today, our focus is on building a movement that will propel our nation to rapidly embrace the transition to a just and sustainable economy. As we progress into 2013, usuryfree, re-education is transforming the consciousness of we-the-people. Indeed, ‘usuryfree creatives’ from all across Canada (and all around the world) are un-learning the lies, deceits and deceptions that have been foisted upon them and their ancestors for centuries as they read books, watch video clips, attend lectures and follow self-imposed courses of study while using the world wide web of resources available on the internet. These ‘usuryfree creatives’ are re-learning the basics of wealth creation from a unique perspective. Proposals for ‘usuryfree’ community currency projects are surfacing from many different individuals and groups. Many of these blossoming projects are focused on ‘usuryfree’ time-bsed currency, while others are simply a ‘usuryfree’ community currency. However, given the ease of modern technology, the respective infrastructures of any active, usuryfree community currency can be easily adapted to use the optimal unit of a time-based currency, which can be traded locally and globally, as well - without the headaches of exchange rates. In 2013 and beyond, readers are invited to become fully aware of the increasing levels of activity re: proposals for ‘usuryfree’ time currency creation. Like previous years, 2012 blessed us with its share of triumphs to balance the tragedies. One of the most significant triumphs of 2012 was the timely re-birth and steady-growth of the usuryfree time currency movement. During 2012, the usuryfree time currency movement went through unique patterns of various local communities adopting the time standard of exchange as the optimal, economic alternative to enable motivated but debt-burdened debtors to throw off the yoke of usury. Why is the time standard of money becoming the popular choice as an alternative usuryfree community currency? Firstly, research reveals that every product and/or service offered in the commercial marketplace is directly linked to labour. Of course, labour is naturally associated directly with time – so the focus on a usuryfree time currency is timely indeed. Secondly, one hour of time has a fixed value of 60 minutes on every continent on planet earth – so “hours and minutes” can be traded locally, nationally and internationally – without any exchange fees when we travel across borders of different countries. Thirdly, a one hour paper note of any time currency is “free of usury” or otherwise stated “usuryfree.” That is to say, no usury is paid on any member’s positive balance and no usury is exacted on any member’s negative balance. When usury is abolished from the economic equation, wars, violence, poverty, scarcity and lack are replaced with peace, prosperity and abundance for everyone. It follows that setting a basic value for one hour of unskilled labour to be slightly higher than the conventional minimum wage becomes very appealing for debtors who are seeking creative ways to evade usury and thereby experience the reality of a usuryfree lifestyle. A couple of examples that I am aware of clearly demonstrate how a usuryfree time currency of “hours and minutes” compares to our conventional, usury-based, debt money system of “dollars and cents” – whether it be in paper notes and coins or electronic blips from debit cards or credit cards. For example, when the Tamworth Hours project was launched in 2004, the paper note referred to as “One Tamworth Hour” was equivalent in value to $12.00 (Canadian Funds). The “One-Half Tamworth Hour” was equivalent to $6.00 (Canadian Funds) and the “One-Quarter Tamworth Hour” was equivalent to $3.00 (Canadian Funds). More recently, in the spring of 2012, a usuryfree time currency called "Mountain Hours" was birthed in Summit County, Colorado and the paper note referred to as “One Mountain Hour” is equivalent in value to $10.00 (US Funds). The “One-Half Mountain Hour” is equivalent in value to $5.00 (US Funds) and the “One-Tenth Mountain Hour” is equivalent to $1.00 (US Funds). These two examples were pattered after the pioneering usuryfree time currency – Ithaca Hours – which was launched in Ithaca, New York in 1991. With a successful track record of more than 20 years, the Ithaca Hour, usuryfree time currency is the longest operating model of a time-based currency and the one most frequently copied. The paper note referred to as “One Ithaca Hour” is also equivalent to $10.00 (US Funds) and the other paper notes of Ithaca Hours are similarly valued as Mountain Hours. In 2012, the birth of Mountain Hours sparked a keen interest in debtors seeking to act on solution-oriented ideas that help to re-build the spirit of local community. Shortly after Mountain Hours was launched in Colorado, another local community introduced Mile High Hours. Next came Clearwater Hours in Florida and then Island Hours in New York. Later in 2012, Vols Hours in Tennessee surfaced and then Peak Hours appeared, in yet another community in Colorado Springs, Colorado. Mountain Hours Evolution Radio otherwise referred to as “UsuryFree Radio” with Wayne Walton as host, aired on the Republic Broadcasting Network from mid-June 2012 until mid-October 2012. Hopefully, it will be resurrected in 2013. This short video clip was posted in August 2012: “Mountain HoursEvolution Radio” Watch for even more triumphs within the usuryfree time currency movement in 2013 – the Year of UsuryFreeLiving. Permit me to address the issue of ‘taxes.’ It is illegal to evade taxes, BUT it is not illegal to evade 'interest' which ought to be correctly called 'usury.' So let's focus on evading 'usury' and stop confusing the issue by having to work within legal parameters while trying to legally avoid taxes. From an engineering point of view to spend time talking about ‘taxes’ is likened to ‘splashing in the pool’ instead of focusing on the ‘tap’ - the source of money. John C. ‘The Engineer’ Turmel’s ‘shift A/shift B’ explanation of ‘inflation’ using the graphic material in his bank math presentation clearly shows that 'usury' is the direct cause of inflation. Think about this fact in our current ‘usury’ money system. If you subtract from our taxes paid to the government all of the money paid to the banking syndicate for “debt service” which really is ‘usury’ you will have a small portion of money left. This is how to recognize the current ‘depreciation of service energy’ which is cleverly disguised. We-the-people should NOT be focusing our energy on the avoidance of ‘taxes.’ Instead, let’s ONLY focus on the evading ‘usury’ - the real problem. Understand that ‘usury’ is the ONLY illicit component of the current ‘usury-bsed’ debt-money system. We should NOT be saying that we object to ‘usury’ and ‘taxes.’ We ought to be correctly objecting to only 'usury.' When you subtract all monies paid as ‘usury’ in our current system, that means that whatever little there is left, is being spent on legitimate services. This is what is commonly referred to as 'taxes for services.' Of course in any new 'usuryfree' money system there will be no motivation for fraud like there is in this current ‘usury-based’ debt-money system. We’ve got to STOP focusing on the issue of ‘tax’ because we are not seeking to avoid paying for the services needed to run our communities. 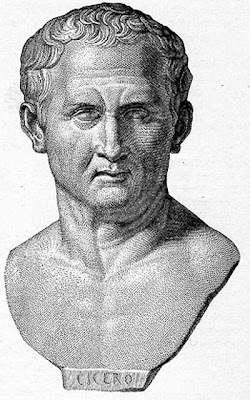 We are seeking to avoid paying ‘usury.’ Dwelling on the so-called ‘evils of taxes’ just confounds the issue and that’s what the usury elitists would like us to do. There is really no need to condemn the ‘tax’ when it is being used to provide services for the community. If you don’t want to call it tax then call it something else BUT it is a necessary component of any 'usuryfree' money system. Also let’s try to avoid the phrase ‘debt money system’ to describe what enslaves us right now. Instead let’s correctly call it the ‘orthodox, economic system of usury-based, debt money.’ By simply labeling our orthodox, economic system a ‘debt money’ system we focus the problem on ‘debt’. The problem is NOT ‘debt’ - which is simply a legitimate IOU or a chip or a token. The real problem is the ‘usury’ which is NOT created simultaneously, when the loan or mortgage is created and issued into circulation, BUT which must be paid on the ‘debt’ - the IOU, the chip or the token. Feedback is welcomed. 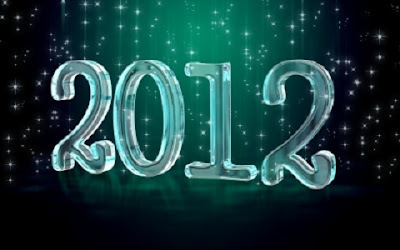 Forward any emails to: tom@cyberclass.net with "2012 - A Timely Review" in the subject line. PS: What if 99.9% of the ‘freedom movement,’ the ‘alternative health movement,’ the ‘new age movement’ etc. was introduced and developed by the ‘Usury’ Elitists who are engineering the New World Order to lead we-the-people astray from the simple and unchanging truth that ‘usury’ economics enslaves and ‘usuryfree’ economics liberates? Indeed, I am proud to be a true point one percenter (.1%) - a ‘usuryfree creative’ who promotes ‘usuryfree’ living for everyone on this planet earth. When our numbers of ‘usuryfree creatives’ reach three percent (3%) the magic of critical mass will engage and we will move this mission ahead with lightspeed. 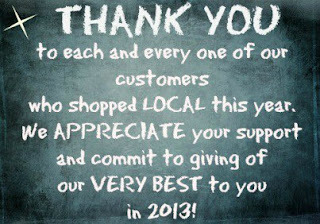 Hopefully, this can happen in 2013 – the Year of UsuryFree Living. TRADERS in Bristol have given the thumbs-up to the new unique currency which was launched three months ago. Alex Poulter, owner of East Bristol Bakery in St Mark's Road, Easton, said a significant number of customers were using the Bristol Pound to buy produce from his shop. He said: "We've definitely benefited from the new currency. People know we are the sort of company which has a local, independent ethos and this fits in with the aims of the Bristol Pound to help traders like ourselves." Pam Buckle, who runs Wild Oats, a health food shop in Lower Redland Road, said they had been spurred to sign up because of the number of people who were using the currency to pay for goods. She said: "We've been accepting the pounds although we hadn't officially signed up. "But we have had such a lot of interest, we decided to register. We think it's a lovely idea because it's keeping Bristol money in Bristol." Ollie Chandler, manager of Blackboy Cycles, said making payments by mobile phone was much more popular than using the new money. John Hagon, manager of Reg the Veg in Boyces Avenue, Clifton, has just signed up to the new currency. He said: "We agree with the ethos of it to encourage people to spend their money locally in independent shops instead of supermarkets. "From what I've heard, it's doing well in other parts of the city and I just hope it takes off here." More than 500 traders are now using the Bristol Pound since it was launched in September and £100,000 of the new currency is already in circulation. It is predicted the currency will reach a one million pound turnover within its first year of operation. Ciaran Mundy, a director of the Bristol Pound community interest company, said: "People are meeting and talking about the Bristol Pound as a way to support each other in harder economic times. "It helps spread the idea of how great it can feel to live in such a diverse city where people act together for positive change." Mark Burton, of the University of Bristol, and Bristol Pound technical delivery director, said: "The numbers so far are compelling – with £B100,000 in circulation we can estimate some of the likely benefits, based on Europe's largest similar local currency scheme, Germany's Cheimgauer." Sign-up sessions to open accounts for the Bristol Pound are held every Wednesday, 12.30 pm-2.30 pm at the entrance to the Corn Exchange. Alternatively email the Bristol Pound team at info@bristolpound.org or call 0117 929 8642. 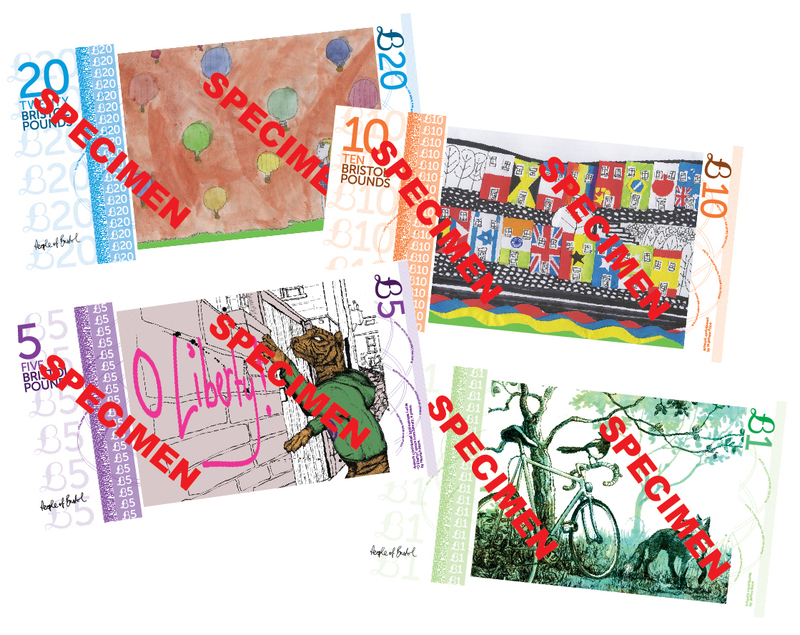 You can use the new currency – £B1, £B5, £B10 or £B20 notes – in any shop that has signed up to the scheme to buy goods or produce. As the notes are equivalent to sterling, they are interchangeable with ordinary money. If an item costs, for example, £2.47, then your change would include normal coins. 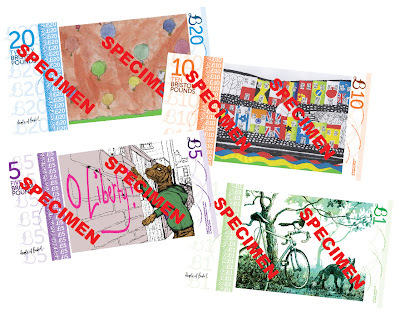 If you paid in sterling, you could ask for any notes in your change to be given in the new currency. For people who open an account with the Bristol Credit Union, then you can pay by using your mobile phone or internet. You simply send a text to Bristol Pound to make a payment by using your PIN number, the business username and the amount to be paid. A reply will be sent within five-10 seconds to you and the trader to say the transaction is complete. The new currency can be exchanged for sterling but there is a three per cent exchange fee.